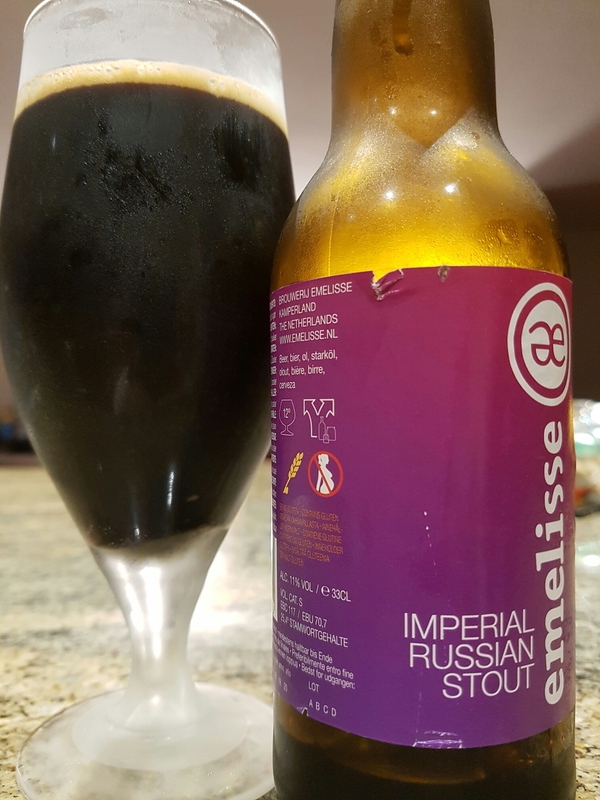 Imperial Russian Stout – Brouwerij Emelisse (Netherlands) | Justintoxicated. Visual: Pours jet black with a small slowly dissipating head, micro fine ringed retention with a medium island, barely visible far scattered super slow micro streams. Summary: 11% ABV nowhere to be seen – almost completely hidden alcohol unless you look for it. Impressively balanced sip from start to finish. It doesn’t have particularly bold flavours but what is noticeable about this one is its agreeable entry and its firm body. Great composure.